Parenting can bring many challenges and when you are stressed these challenges can seem even more difficult to face. Here are some tips on how you can manage your stress levels and teach your children that while it may be unpleasant, stress is a part of everyday life. However, it is also important to show them how to manage stressful situations and to help them develop their emotional strength in order to cope with life’s challenges. It is vital that parents learn to manage their stress and to develop strategies for dealing with difficult life and relationship issues. When parents cannot manage their stress this rubs off on children and they can become stressed or depressed. Learning the importance of support and the strength inherent in being able to ask for help is a skill that will take parents a long way. Children can also become stressed in their own right so parents can model good stress management for their children. In order to feel good about ourselves we need others to care about and care for. Knowing what help is out there in times of stress can bring a real sense of relief. Each of us needs a support system and this can come in many forms. Family members and even just one close friend can make all the difference to our emotional well being. Parents with children of similar ages can provide excellent support for each other through the mutual sharing of experiences. In order to parent well you need to be a good parent to yourself. Minding yourself is the key to keeping your stress levels down. Keeping a focus on your child’s well being can also have a diminishing effect on your own stress levels. Find out more about our parenting skills programmes and parent supports. For support and information on these or any related topics, call askonefamily on lo-call 1890 66 22 12 or email support@onefamily.ie. With a young child, one of the most trying times can be night time. We all expect to be awake with babies and infants, but what if your child is 3 years of age and still waking you at night? Parents and children need their rest after a long day of work, school, or play, although sleep is often interrupted by a cry for help from another room. As parents, it’s impossible to ignore our children, yet we all need a good night’s sleep and we want the same for our children as well. Not getting enough sleep can affect how we parent and many other aspects of our lives. We explore 10 Ways to Survive Sleepless Nights. If you know to expect that your child might call you during the night, it’s best to just accept it rather than dread it, as children will pick up on your anxiety. Try to get to bed yourself very early at least 3 nights a week – even if you don’t really feel like it – so you can get hopefully 4-5 hours of continuous sleep before the first call from your child. Stay calm during the night. Remember that it’s okay to forget the rules at times. If they will sleep well in your bed take them in, or get into bed with them if you can. A double bed for young children can be great if you have the space; at least you’ll have room then! Talk with your child during the day about sleeping. Praise them if they sleep well and try to encourage them to call you when it starts to get bright, not when it is dark. Encourage self-soothing such as cuddling up with favourite teddy bears. Be extra generous with praise for any attempt they make to sleep better in their own bed without calling you. Talk to them about how sleep fills them up with energy for the next day and how they need it for the busy day ahead of them. Help them to understand and like the idea of sleeping, and talk with them about why parents need sleep too. Try to ensure that during the day (not at bedtime), that you talk over things that are happening with them too. 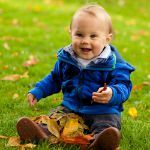 All kinds of things can play on your child’s mind that you might not be aware of: new home, new baby, getting in trouble, starting school etc. Dreams can wake them with anxiety. If you live with another adult take turns to get up to the child – take every second night – then at least you are both getting a good sleep a few nights every week. What if you have two children waking in the night? If safe to do so, and you have a big bed and side rails – and you have not been drinking alcohol or are impaired in any way – it can be good to take them on a sleepover into your bed on occasion. This could mean you all get to sleep till morning, or at least the early hours. Try not to focus on how little sleep you get. Remember that a lot of parents are in the same situation. Think about how you might be able to incorporate opportunities for sleep into your own routine. If you travel on public transport, perhaps take a nap on the bus or train; or have one in the morning at home if your child is at creche or school. Explore if anyone can mind your child once a week for a few hours during which you can look forward to some sleep; for example, arranging rotating play dates with another parent. Build some positives into your day. For example, look forward to some nice breakfast to give yourself a boost to get going. Something like fruit and yoghurt doesn’t have to cost much or take a lot of time to prepare. When we are really tired, we can feel somewhat low, especially if we’re parenting alone without many opportunities to plan for some sleep for ourselves; so it’s very important to actively build in these little positives to our routine. Support your child to sleep well by following a bedtime routine and providing them with a restful space. What is the room like that they sleep in? Do they like it? Do they have cuddly teddies they have a good bond with during the day? Have they a night light? Is it a calm, secure, peaceful area? ’10 Ways to’ is by One Family’s Director of Children and Parenting Services, Geraldine Kelly. For support and advice on any of these topics, call askonefamily on lo-call 1890 66 22 12 or email support@onefamily.ie. Find out more about our parenting programmes here. When someone in the family or community dies, children are at times kept away from it. Death is a very normal part of life and children, like adults, need to know and understand what is happening, at an age appropriate level of course. They also need closure and support to deal with the loss. Many children’s first experience of death is that of a pet; it can be great for this to be a first experience as no matter how upsetting the loss is, it will not be as great as that of a family member. Tell them the truth, someone has died, they will not be able to come back. Talk with them about where you believe they go to after death. Allow children to ask questions, although you may be very upset at this time, children need information to cope with the death. The more details they have the easier it can be for them. They will want to know how they died and why. You may not have all the answers and tell them if you don’t. Allow children be part of the funeral and days leading up to the funeral. Allow them time to look in the coffin when it is quiet. Allow them to examine the dead person and put things into the coffin with them, if they wish to. Bring them at a quiet time, not the first time you visit the coffin, allow yourself some space to grieve and then allow your child time with you. It is okay for children to see you upset. Sadness and grief are part of our human emotions. Children need to know we have them and your role is to support them to cope with these feelings. Always tell anyone working closely with your child about the death so they too can support the child in the weeks and months ahead. Children will continue to ask questions for what seems like forever. Be patient with them and give them permission to talk and share memories of the dead person. 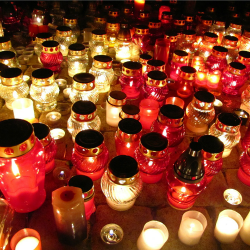 Start your own traditions around how you will remember the dead person. 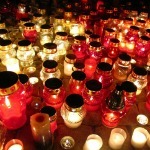 Will you visit the grave, let off a balloon every so often, look at photos and talk about the good memories. Children don’t want to forget, so even though this may be hard for you to cope with at times when you need to get on with things, tell them it is okay to talk and remember, even if it does make you sad. If a child loses a sibling or an unborn sibling, share this with them. Create memories for them. It is very important that you can talk with them about this. They will know something has changed in the family, in you. It is important that as a child they know what has changed. We often want to protect children from terrible things that happen, but keeping them as part of the unit, close to you and helping them understand, is much more beneficial for them long term. Finding out as an adult about such things can be more heart breaking. Children will go through the stages of grief just as adults do. Support them and if at any stage you feel they need more support than you can offer, seek professional support for them through programmes such as Rainbows, Seasons of Growth, Play and Art Therapy and many other services. This article is part of our weekly ’10 Ways to’ series of parenting tips, and is by One Family’s Director of Children and Parenting Services, Geraldine Kelly. Are you a lone parent who has recently returned to work? Could you help One Family to pilot our new online programme on work-life balance for working lone parents this October and November? • Availability to take part during October-November 2017. 1. Communicate more effectively with your employer; learn to ask your employer the right questions to get what you need. 2. Your rights and responsibilities; Find all the most relevant and up to date resources on your rights as an employee and as a parent. 3. In-work supports; Find out what supports you are eligible for as a working lone parent, and what kinds of supports you can achieve within your work environment. 4. Your go-to guide to childcare; Find the best option for you, and stay up to date on government childcare schemes. 5. Balancing finances as a working parent; Access useful online resources like a money guide and budget calculator. 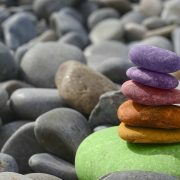 By taking part in this pilot, you can develop a better understanding of how to achieve your own work-life balance and you will be contributing to making this course better for parents in the future. By giving your feedback, you will have a say in what topics you think should be covered in a course like this – for both employees and employers. Your input will influence how future courses are developed, and your views will be used to help inform and educate all types of employers on how to better meet the needs of lone parent employees. There is no fee for this course. If you are interested in taking part, please call us at 01 662 9212 and ask for Neda, or email info@onefamily.ie. One Family offers an exciting suite of training programmes for people who are parenting alone, or sharing parenting after separation, including a number of free courses; and also programmes for professionals who work with parents, children and families. Whether returning to education or employment, building on skills to strengthen family life, or continuing professional development, Autumn is the perfect time of year to start working towards something that can bring rewards now and in the new year to come. Our courses incorporate 45 years of experience in supporting parents. Your perfect training opportunity may be just a click away. Read on to find out more. Being equipped with resilience and skills to deal with the range of issues that may arise in day-to-day family life, and in times of change, is important for all parents. Booking is open now for our Autumn courses for parents. Family Communications: Coping with Family Life and Communication with Teenagers This course is valuable for parents of children of all ages but particularly those with teens. It teaches clear communication skills to strengthen family life including assertive parenting, and conflict reducing communication. 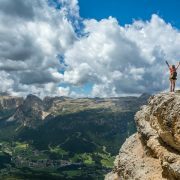 Self-care and Personal Growth When Parenting Alone Parenting alone means carrying all of the responsibility, all of the time. It can be easy to forget to look after ourselves too. This course supports lone parents to explore their self-worth and confidence through learning about the most important relationship of all: the relationship we have with ourselves. The overall aim is to support parents to take time for self-care so that they can be there for their children. Positive Parenting for Changing Families This practical and positive course for parents of 2-12 year olds builds on existing skills to support parents to manage behaviours and development well, with a focus on understanding the needs of children in order to understand behaviours. Parenting When Separated To address the challenges of parenting when separated, Parents Plus developed this six week course for parents who are preparing for, going through, or have gone through a separation or divorce. It supports parents to work through shared parenting problems in a positive way that is focused on the needs of children. Parenting Through Stressful Times This course supports people who are parenting alone or sharing parenting in recognising and positively managing stress in themselves and in children. It gently explores the influence stress plays and how we manage daily challenges, and the many tools that can aid and support adults and children to cope with stress and maintain a healthy balance. Online Parenting Support Programmes We offer two facilitated online programmes, Positive Parenting and Family Communications, that run throughout the year. Eight weekly sessions are communicated via email and include reflective exercises and completion of a learning journal, all of which can be done in your own time at your own discretion. Optional individual support by email and mentoring around parenting topics from our Director of Children and Parenting Services, and assessment with issue of a Certificate of Completion, are also included. Find out more about all of these courses, or book online, here or call us on 01 662 9212 if you’d like more information. Would you like to get back to education and/or work? It can be hard to know where or how to start. We have two upcoming programmes that may fit your needs. Both are free and offer accreditations recognised on the National Framework of Qualifications. New Futures, starting in October 2017, is a free 24 week; part-time personal and professional development programme specifically designed for those parenting alone or sharing parenting. It is accredited at QQI Level 4. Options, a full academic year program beginning later this month, is a part-time introductory programme specifically designed for those parenting alone or sharing parenting, and is run in partnership with Ballsbridge College of Further Education. It provides practical skills for progression into employment, self-employment, and/or college. More information about New Futures and Options is here. If you are interested in one of these programmes but are unsure if it suits your needs at this time, please email us at programmes@onefamily.ie or call 01 662 9212. If you work with parents and/or children; are a family support worker, social worker, youth worker, family therapist, educator, drugs project worker or counsellor, or deliver parenting/family support courses, One Family runs accredited programmes that will help you to build on your skills, knowledge and approach. Programmes include Positive Parenting for Changing Families, Family Communications: Coping with Family Life and Communication with Teenagers, and half-day Skills Acquisition Workshops. This solution-driven workshop explores how to practitioners can support parents in practising clear and direct communication in relation to common family dilemmas using a non-violent communication framework, identifying communications styles, understanding the connection between needs and choices of behaviour, exploring the benefits and disadvantages of conflict within relationships and families, and more. Workshop places will be limited to twenty people, as they will be facilitated in a participatory workshop style, which actively engages participants. This intense workshop for professionals working with parents and families will explore how they can support parents in understanding the effects of stress on both parents and children, the importance of having support as a way to combat stress, how to identify stress in children and how it impacts on behaviour and wellbeing, and to develop strategies to develop a less stressful environment for children and parents. Our next three-day Family Communications programme is also booking now for February 2018 in Dublin 7. One Family can also deliver workshops and programmes directly at your organisation with a minimum of ten participants. Sign up to receive our Professional Development updates here to be among the first to hear about our new programmes and schedules. If you would like to find out more about any of our training opportunities, call us on 01 662 9212 or email info@onefamily.ie. We are happy to announce that enrolment is now open for the Options part-time programmes run by One Family in co-operation with Ballsbridge College of Further Education. Options programmes are free of charge and specifically designed for those parenting alone or sharing parenting. If you are looking to get back into the workplace and/or further education after a gap, or for the first time, Options are for you. Three Options programmes are enrolling now in Communications, IT Skills, and Nursing Theory & Practice. Dates: Starts Wednesday, 21 September 2016 and runs until May 2017. Hours: Wednesdays and Thursdays from 10am to 1pm. One Family is offering a unique opportunity to avail of free professional development training which normally costs €400. One Family has almost 45 years experience working with one-parent families, people sharing parenting, and separating. 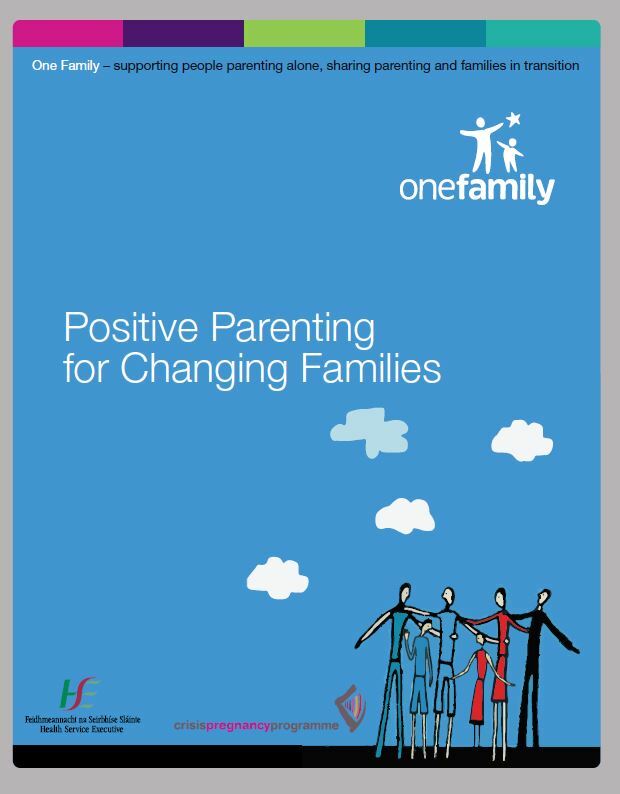 From 22-24 June, we will facilitate our three-day Positive Parenting for Changing Families programme in Dublin and, as the HSE Dublin South Central has awarded lottery funding to us, we are pleased to be able to offer this opportunity to avail of a renowned professional development programme at no cost to sector professionals working with parents, children and families. Positive Parenting for Changing Families is an evidence-informed programme developed through funding from the HSE that was positively externally evaluated in 2014 through the Family Support Agency. It specifically supports people parenting alone, sharing parenting, and separating families but is suitable for use with other family units. It is relevant for one to one work as well as with groups of parents, and will be of particular interest to Service Managers. Please click here to read more about Positive Parenting for Changing Families. Today we are offering three places on this training which have become available owing to a last minute cancellation. It will be held on 22-24 June from 9.30am-4pm daily at O’Brien Centre for Science, UCD, Dublin 4. Please contact Michelle on 01 662 9212 or by email for information and to register today. Don’t miss out! Across Europe, more and more one-parent families are living in poverty. One Family is proud to collaborate as part of Stronger Families EU, a pioneering new Europe-wide initiative to help parents improve their skills and/or progress to employment. The project is a partnership between four long-established lone parent support organisations: APERIO (Czech Republic), Intermedia (Italy), One Family (Republic of Ireland) and One Parent Families (Scotland). On Wednesday 15 June 2016, we will be showcasing the courses we have developed for working with parents and professionals at a round table conference taking place in Prague, and you can read more about it here: Stronger Families EU_International Conference_Society, Jobs and Families in Transition_15 June 2016. 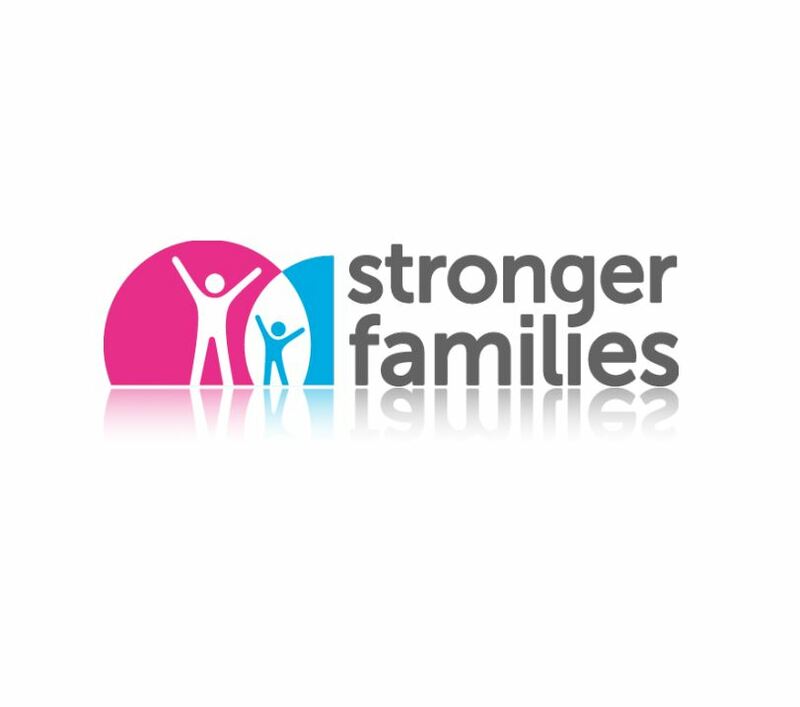 You can also find more information on the Stronger Families website here, watch the presentations or join the conversation on Twitter on #strongerfamiliesEU. It can be daunting when your baby is born and you start to think about how to tell them that their other parent does not want to be part of their life at that time, or maybe never. However, it is best to introduce this concept from day one. This way you do not allow any confusion to creep into your child’s life. At the registration of your child’s birth, you can add the father’s name to the birth certificate. In time your child will see this and you can talk with them about their father. Children always want to identify with family, who they look like and where they came from. Have a picture of your child’s other parent in their room or in their baby book, if possible. You may find this very hard to do, but at least if the image exists you can explain who that person is as the child grows up. If possible, inform the father of the child’s birth and invite him to send something to the baby. Something you can keep to show the baby that they acknowledged the birth. Try to inform or involve the absent parent’s extended family from the birth of your baby. This can be very hard to do when relationships have broken down, but along the road at least you can tell your child you made every effort to ensure they knew where they came from. Have a short story in your baby book about how you met their father and how you felt when you found out you were pregnant. Talk a little in the story about how you understood the father felt too. Try to stay positive. Children never usually want to hear anything negative about a parent, even if they are completely absent from their life. As well as a photo in the baby book of their other parent, you could write some things in about your baby’s absent parent such as their full name, birthday, what s/he liked to eat, their hobbies etc. Give an example of something you liked about them. Whatever you feel you would like to share do, without going too deep into what happened between you as a couple. As your child grows in this age range, try to drop comments into conversation about how they may remind you of their other parent – positive things only. Try to open up conversation with them about their father. If things come up in a story book or in conversation with other parents about dads, use this as an opportunity to remind them that they also have a father (or mother, depending on your family’s situation). If you enter a new relationship be very clear when meeting new people that your child is your son or daughter and this other person is your partner, e.g. saying ‘Kaela is my daughter and Simon is my partner’ instead of leading them to believe it is ‘our daughter’. So many people fall into this by error. Remember, children don’t have to hear something to think it is real. Often by not hearing anything to contradict an idea they have formed can lead them to believe it to be true. Do not at any stage support or encourage your child to call anyone who is not their biological father ‘daddy’. This can lead to great hurt and confusion as they get older. Children always discover the truth, one way or another. This ’10 Ways to’ article is by One Family’s Director of Children & Parenting Services, Geraldine Kelly, as part of our weekly ’10 Ways to’ series of parenting tips. You can read the full series here. Becoming a big brother or sister can be very exciting for many children, and at the same time a little scary. They may be wondering how life will change for them in both positive and negative ways. Some children as they get older prefer being an only child, while others long for a sibling. In this article we will explore what it means for children when one parent has a new baby – meaning they are now the big brother or sister – and what issues this can raise for children from separated families. Often very young children don’t understand what is happening until the baby arrives home and they see their parent holding it. At times they think the baby will be going back to where it came from, and it can be a shock when they realise the baby is staying and maybe even sleeping in their old cot. If the baby will not be living with the child full-time, it can create a variety of responses from the child. The child may be very keen to stay with the new baby, to protect it. It can feel like it is their baby at times. So parting and returning to the other parent may be very difficult for them. For other children, the new baby may pose a treat. Now they have to share the parent not only with a new step parent/partner but also with a new sibling. When will they get quality time? This can cause a feeling of unsettlement for children of all ages. It is important for all the parents – both biological and step-parents – to try and build in quality time with the first child. It is crucial to help them see they have a very valued place in the family and that their needs are still very important. Children can at times feel abandoned and neglected during separations, particularly at times when adult needs become more prominent and take over. Hopefully by the time a new baby is arriving, things will have settled down and children are feeling more secure in the new relationships that have formed. It is key when a new baby arrives to ensure that the child does not again experience these feelings, whereby their needs were not at the forefront of family life. It is important also to give your child good, positive language to describe the changes in their family to friends and other family members. ‘Half brother’ or ‘Half sister’ are not the most preferred terms as a person they describe would not feel happy about being ‘half’ of something. It may be better to just support them to say they have a new sister/brother. Then they can go on explain that Daddy or Mammy have this baby. As parents, we can help our children to understand blended families as they get older. Once they have an understanding and a positive experience they will flourish. Help the child to understand their unique bond with this child. I know it can be hard for parents to accept when the other parent moves on and has more children, but the baby exists and will always have a bond to your child. Try to be open and support the relationship. Try not to see this as a threat. Often parents and older children ask why the other parent had more children. They may feel they already struggled to have time for the first born, but this is life and things are not always planned or thought out. There may be issues around maintenance as now money has to go further to support the new baby. Your child may be getting less. Again you may need to sit and talk with the other parent about the impact this will have and try to reach agreement, as the courts will usually allow a person provide the best they can for each child. The first born will not get preference. The quality time a child shares with the other parent may be reduced when a baby is born. You would hope this to be very temporary, as otherwise the older child is being set up to resent the new baby. As parents, it is up to us to try not to give one child less attention when a new baby arrives. This can be difficult, maybe you can try and get others to help with the newborn. This will allow you time to support your older child to know they are very valued within your life and extending family. When children are having time with the other parent, we can expect that it will be one to one time. Parents may request the new child not to be part of this time. While it is important for children to have one to one quality time with parents, we must remember that children also need to be immersed into their parent’s new family form. It will be hard for them to understand and adjust, no matter what the age, but if this is what the family is going to be, then why try and make it different? At times it may be for the parents’ benefit to exclude other new family but really children can often adapt positively and smoothly to new experiences. What matters most is how they are parented and supported with the changes. It is about keeping their needs central, and for both parents to have a focus on meeting the child’s needs first and foremost. LIVE Facebook Q&A with Geraldine on this topic Tuesday 21 July from 10am-11pm in our NEW One Family Parenting Group which is a closed Facebook group (meaning that only members can read posts) that anyone can join. Post your questions and share your experiences.